Today, customs officials are facing new challenges: they must ensure the smooth flow of trade while applying necessary controls on the one hand, while protecting the health and safety of the Community's citizens on the other. To achieve - and maintain - the correct balance between these demands, control methods are constantly evolving raising major challenges to those charged with planning and compliance. 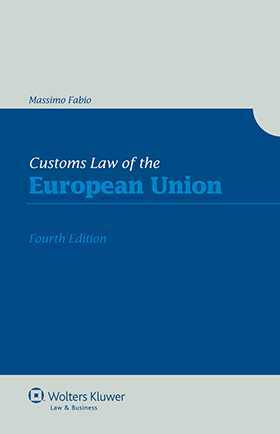 Customs Law of the European Union is a highly practical work dealing with the ins-and-outs of EU customs law. Authored by an international tax lawyer with extensive experience enforcing EU customs law as a former member of Italy’s financial police, this handy resource is designed to help the reader stay in compliance with the laws controlling EU importing and exporting while structuring transactions in a business-friendly manner. Chapter 25 The Authorized Economic Operator – AEO.